Make yourself at home in one of the 300 air-conditioned rooms featuring kitchenettes with refrigerators and microwaves. Rooms have private balconies. Satellite television is provided for your entertainment. Conveniences include phones, as well as safes and desks. When you stay at Hotel Principi di Piemonte Sestriere in Sestriere, you'll be near ski lifts, just steps from Susa Valley and Sestriere Ski Area. 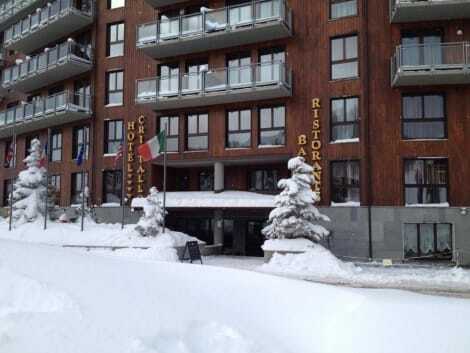 This 4-star hotel is 0.1 mi (0.1 km) from Via Lattea Ski Area and 23.1 mi (37.2 km) from Bardonecchia Ski Resort. Satisfy your appetite for dinner at the hotel's restaurant, or stay in and take advantage of the 24-hour room service. Wrap up your day with a drink at the bar/lounge. A complimentary buffet breakfast is served daily from 7 AM to 10 AM. When you stay at Chalet Edelweiss in Sestriere, you'll be near ski lifts, just steps from Susa Valley and Sestriere Ski Area. This ski residence is 0.1 mi (0.1 km) from Via Lattea Ski Area and 22.4 mi (36.1 km) from Bardonecchia Ski Resort. Make yourself at home in one of the 148 guestrooms, featuring kitchenettes with refrigerators and stovetops. Rooms have private balconies. Flat-screen televisions are provided for your entertainment. Conveniences include laptop-compatible safes and desks, and housekeeping is provided daily. With a stay at Hotel Torre in Sestriere, you'll be just steps from Susa Valley and Sestriere Ski Area. This ski hotel is 0.1 mi (0.1 km) from Via Lattea Ski Area and 22.3 mi (35.9 km) from Bardonecchia Ski Resort. In the heart of the village of Borgata Sestriere, Nube D'argento offers mountain-view apartments with ski storage. It is 150 metres from the ski slopes and 4 km from Sestriere, where Olympic alpine-skiing events take place. Nube D’Argento’s apartments all feature a living area and a flat-screen TV. The bathroom is complete with a shower. The property also includes a shared terrace, where you can sunbathe in fine weather. Discounted rates are available at a ski school set 50 metres away. The ski resort of Sauze D'Oulx is reachable in about 25 minutes by car. Make use of convenient amenities, which include ski storage and a ballroom. Satisfy your appetite at one of the hotel's 2 restaurants. Wrap up your day with a drink at the bar/lounge. A complimentary buffet breakfast is served daily from 7:30 AM to 10:30 AM. When you stay at Hotel Belvedere in Sestriere, you'll be near ski lifts, just steps from Susa Valley and Sestriere Ski Area. 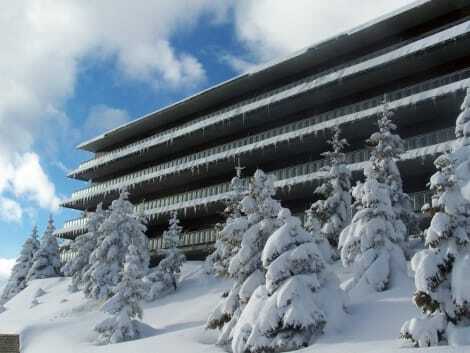 This 4-star hotel is 0.1 mi (0.1 km) from Via Lattea Ski Area and 22.1 mi (35.5 km) from Bardonecchia Ski Resort. 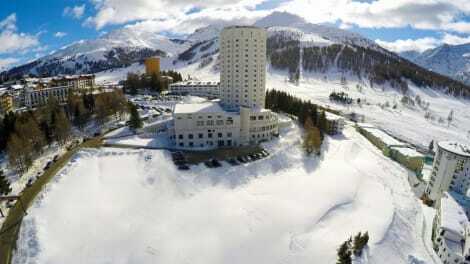 At an altitude of 2,600 metres, La Tana della Volpe is the highest hotel in the Western Alps, outside Sestriere centre. It offers rooms with mountain views and is next to the Turin Olympics ski slopes. You can reach La Tana on foot or by snowmobile from Sestriere. 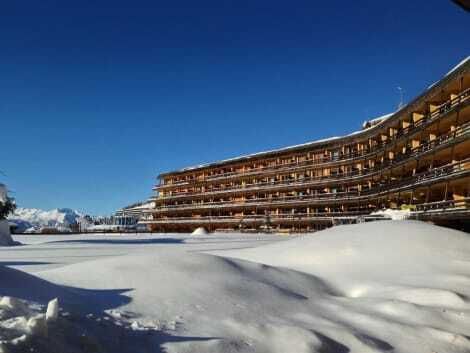 Alternatively, the hotel is connected to the city centre by the Nuova Nube or Chisonetto-Banchetta ski lifts. Each room at the Tana della Volpe offers independent heating. Hotel La Tana della Volpe has a bar and an on-site restaurant with panoramic views. 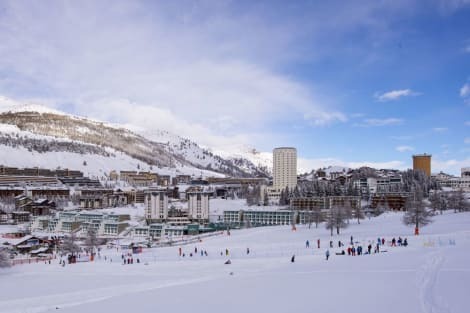 The ski school, the ski deposit and ski-lift business centre are all located at the bottom of the slopes. lastminute.com has a fantastic range of hotels in Sestriere, with everything from cheap hotels to luxurious five star accommodation available. We like to live up to our last minute name so remember you can book any one of our excellent Sestriere hotels up until midnight and stay the same night.